DERBY, Conn. — In search of a solution to the health care crisis, several hundred people jammed into the Griffin Hospital auditorium Saturday for a town hall meeting with Sen. Chris Dodd, Rep. Rosa DeLauro and Obama health director Nancy-Ann DeParle. The meeting was called as legislation in Congress is on a fast track, with the issue of a public choice at the center of the debate, and the sentiment was strong for a public health care system. Dodd said that he is committed to developing a bill that is affordable and universal with quality care and an emphasis on prevention. 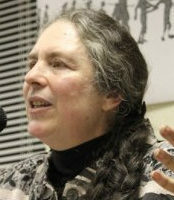 Judith Stein, who founded the Center for Medicare Advocacy in 1986, was one of several health care experts invited by Dodd. She summed up the majority sentiment in the room when she said, ‘we should learn the lessons Medicare can teach.’ She recalled that in 1965 when Medicare was founded, the public / private debate took place. As a public system she said, Medicare provides affordable, universal, quality access to basic health care. She appealed for a representative in Congress to ‘speak for us,’ receiving an enthusiastic applause in contrast to the silence that greeted the Aetna representative who had spoken earlier in support of universal coverage to be paid by the individual or government subsidy. Many realized that the insurance giant opposes a public option in favor of a plan in which they would enjoy more profits.